Here at Angie’s Country Kitchen, we put the home in home-style country cooking. We understand the busy life that everyone has these days, hence resorting to constant fast-food and frozen meal options. That’s where we come in. A place that you can come to and treat yourself to delicious home-style country cooking. 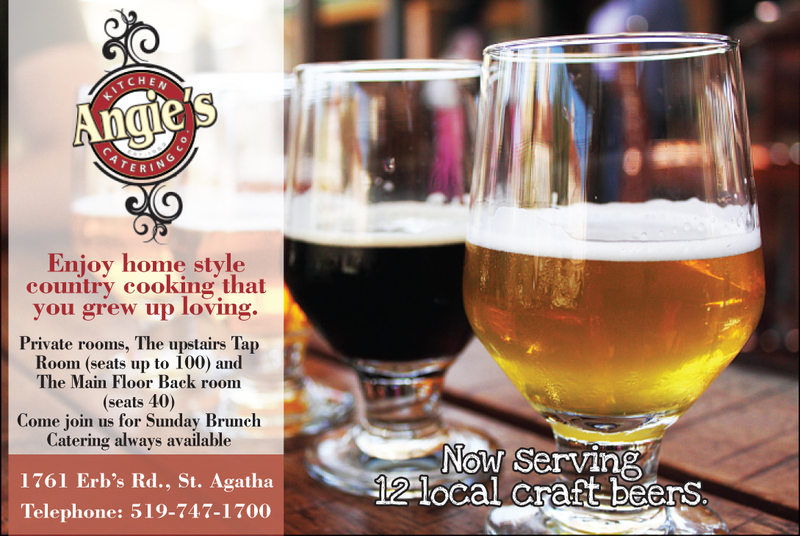 Angie’s Kitchen was created to bring those beautiful memories of eating together as a family and enjoying the meal, rather than rushing to your next errand. Pause and reflect life while enjoying home-style country food with you loved ones at our friendly and homey restaurant. Enjoy our evening dinner buffet served every Saturday with exclusive menus each week. Call us before receiving what’s on the current menu! 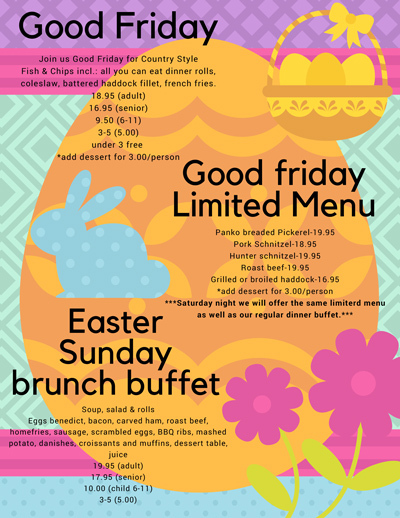 Open for Sunday brunch – who doesn’t enjoy home-style country food after church? We have something for everyone, view our menu for a detailed outline of our offerings. Enjoy this home style country cooking that you grew up loving. At 1761 Erb’s Rd, Angie’s Country Kitchen is waiting for you so that we can make new memories together. You’ll feel at home the moment you walk in. To our valued patrons: We are now open Thursdays until 7:30 pm. Call ahead for Sunday evening hours. 519-747-1700.